A million searches happen every minute. Don't you want to beat the competition? We have a team of experienced SEO specialists, that make your website stands out in search engines. Your Business Success is Our Motto. SEO Services (Search Engine Optimization) that assures your business growth. Web Vertical Domains is the best SEO agency in Toronto. For us, SEO project is a business opportunity. We know that clients will retain us only they get the result. So, no matter what marketing goals, competition your company has, we will help you to bring to the next level. You won't be disappointed - It is our assurance. A million searches happen in search engines every minute. Most of the businesses want to have their website to be listed in the top of the search engine result page (SERP). But, they regrate that doesn't happen. It will not happen automatically. Systemic approach and well-planned SEO strategy is the only way to be listed TOP in search engines. The result can be assured only Best SEO company (One of the Best Toronto SEO companies ) in Mississauga, like us "Web Vertical Domains". We take SEO project very seriously, We try every possible approach to bring you on top in search engines with least possible time. At WVD, our SEO experts have a thorough knowledge of search engine algorithms and audience behavior. They always find out the GAP between your current position and Toppers and develop and an SEO strategy to reduce the gap. Based on the package you choose, they will define the hours and efforts to spend and execute plan accordingly. We have a good success rate. We don't outsource a project. We involve clients in SEO process so that they know what we are doing. We never had a black hat. We have great customer care. We add you in our own business directory and apps so that you get potential clients too. Check out our pricing table below to see all that is included in the holistic SEO services that we offer, and if you're interested in learning more about them, read on below the table! We develop customized strategies for every business we partner with but the deliverables below give you a glimpse at the depth of service we provide. We'll talk about the different strategies that are a part of SEO, and how they can help your business to grow and thrive among your competitors. At WVD, our SEO services are designed specifically to drive traffic from your local business than across the globe. 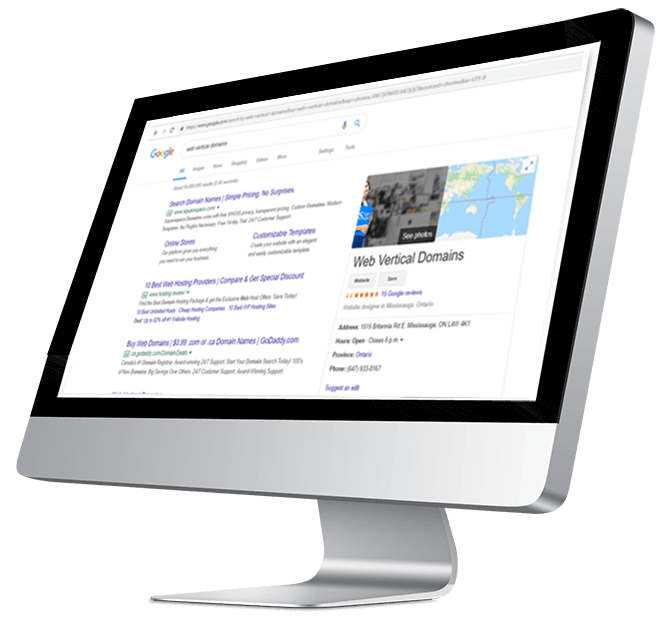 We pride ourselves on our winning combination of keyword research, competitor analysis, transparent reporting, and data analysis that help increase revenue for your business. We offer four different plans for our services, including our Basic SEO plan, Regular SEO plan, Complete SEO and Market plan. Most of you see a similar pattern for different digital agencies in Toronto, Mississauga, Brampton, Guelph, Kitchener. We are different from others because of our systematic, rigid approach. We begin our process with strong research. We believe is spending a good time in sharpening the axe before cutting a big tree. 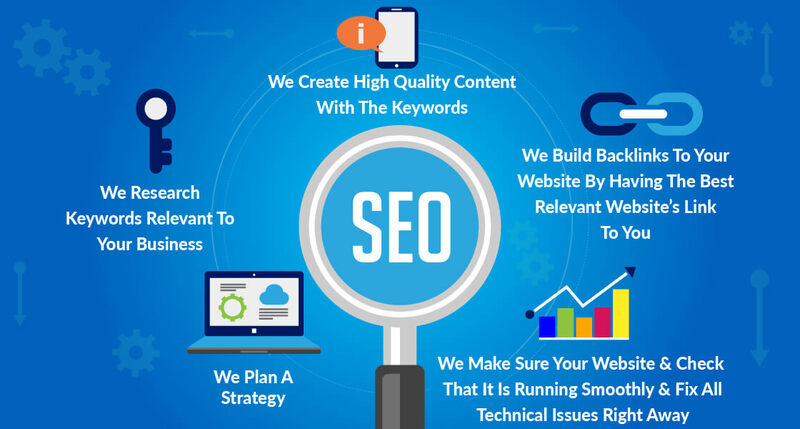 WVD search engine optimization team will through research best and medium performing keywords of your industry and find out how much far you are, what are the attributes need to improved to reduce the gap. SEO on the web page is crucial without which search engines cannot visit your website at all. Content creation, submission and link building is a very tedious process in SEO. This is an ongoing process also. our creative content writers are experts in content writing that interests and impress the audience. So our quality and unique content make your website to get more clicks and get better ranking in search engine result page.